Essex Farms is looking lit. After the revamp of Future Bowl (now Yes Minister), the old-school bakery has given way to cafe Tesu. Tesu is a roomy, well-lit space with artisanal coffee, French pastry, sushi and all-day breakfast on offer. Tesu takes its coffee and tea seriously and this is evident from their four-page menu dedicated to the beverages. If you’re a coffee addict, you’ve just found your new favourite place. 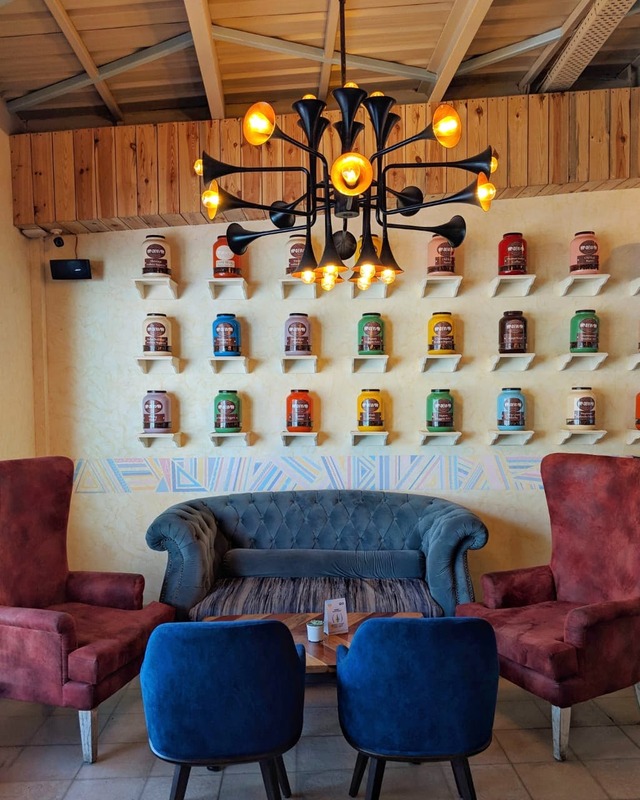 They’ve got a range of hot and cold brews (these are sourced from a brand called Devi from Goa) including coffees infused with vanilla, dark chocolate, whisky and rum (and no, they don’t use bottled syrups). You can get your coffee in a French press or ask the barista to do a pour over for you at the table. More of a tea drinker? Get your hands on their signature Sunshine Waltz (a blend of Tesu flowers, rose petals and aniseed). The teas have all been done by Anandini so you’re assured a quality cuppa. For a cafe, Tesu has a pretty diverse menu. Choose from all-day breakfast items (the English breakfast platter sounds delicious), beautifully-rolled sushi (we’d recommend the Spicy Salmon), dim sums (Chicken and Chives FTW), small seafood plates or larger plates (pasta, ravioli, grills etc). We especially liked the Penne Ciccio. There’s lots to choose from and all the flavours are on point. Looking for something sweet? Sahil from Cravity has done the desserts. We liked the dark chocolate Raspberry Melange and the pretty Tesu Pastry (this comprises a Madeleine sponge with a fruity custard, garnished with micro greens and edible flowers). Tesu is the perfect place for a quick cup of coffee with a friend or even a business meeting. They have a pretty sweet and small outdoor area too. It's priced a bit steep, so we'd recommend saving up a bit for this one. Pick up some fresh butter croissants, bread loaves or pain au chocolat to eat at home!